The upcoming paperback edition of Netherland looks suspiciously like the 10 year anniversary edition of Infinite Jest. What say you? Interesting. I much preferred the US version for almost all–except I really liked both Ruth Ozeki covers and I preferred the UK version of the turtle cover. It’s also worth noting that the UK Atkinson cover is designed to look like the rest of her books, for those slightly obsessive-compulsive readers who like all their editions to look like part of a set. The US cover is clearly much better though. Gotta disagree on the Rainbow Rowell. LOVE that UK cover and think that vintage nerdy look and color scheme is way underutilized. I’m pretty sure the UK cover of How to Get Rich in Rising Asia is a riff on the cover of the big motivational/financial book Rich Dad, Poor Dad, which makes it definitely the better cover of the two. 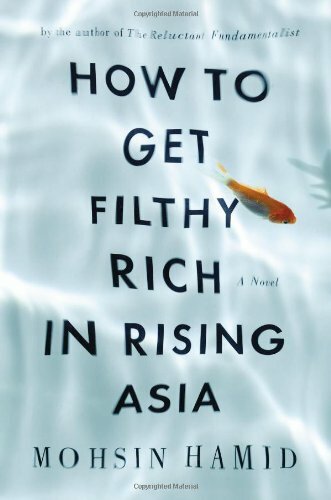 The US cover of How to Get Filthy Rich in Rising Asia reminded me of the UK cover of David Foster Wallace’s The Pale King: same watery, wave-like, font-dissolving look. This might be the first year that I’ve overwhelmingly liked the US covers over the UK ones – usually, there are some bold and interesting decisions on the UK end. 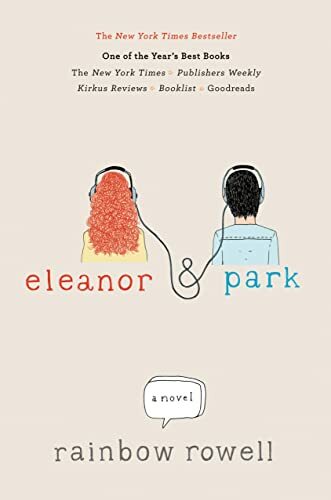 The only one that really does it for me from across the pond this year is Eleanor & Park, although I appreciate the sparser version of “The People in the Trees” too. 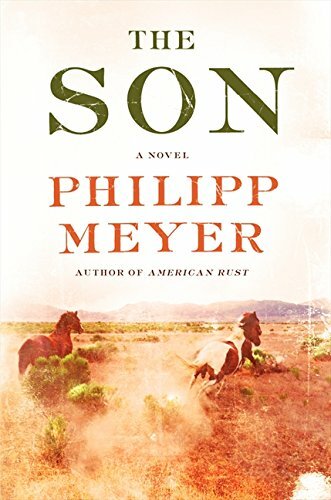 I’m curious about the lack of “A Novel” being tagged onto the UK covers. Is it that Americans are worried they might read a story that, without that phrase on the cover, they couldn’t identify as fact or fiction? That said, the US covers handily win this round. Although I gotta admit, that Blippar cover seems like a gas. Before I even read this piece, I thought that the UK covers would be the best, because it seems that most times they are. This time, though, the only UK cover I prefer is the one for Eleanor & Park. I would like to have a copy with that cover. 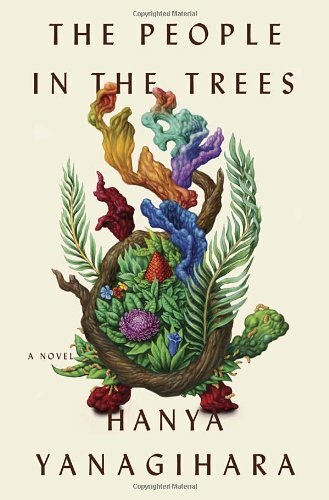 On a quick first glance I noticed: US cover designs seem a bit edgier and more contemporary overall; UK covers used more color and more combinations of color while US covers seem to have a more muted colors overall, the color exception being The People in the Trees. I’d say the UK covers gave off a more traditional vibe which may reflect perceptions more than actuality…but marketing is based on perceptions. This is something I’ve laughed at with other British friends, that Americans can’t tell what’s fiction and what isn’t. What did surprise me was seeing an online comment from a very well read American who worked in a bookshop – definitely not the sort of person we were thinking of – and had actually mistaken for non-fiction a novel by an author who’s reasonably well known and mis-shelved it for a while. I’ve not heard of that happening here – but then publishers often put a subject designation on the backs of books beside the barcode. Though apparently ” a novel” is used more often on literary fiction than bestsellers – I’ve read that some Americans like the phrase because it evokes Victorian-era title pages. I would hate to see “a novel” creeping in on covers here as it seems like prime dumbing-down territory. I prefer most of the UK covers. 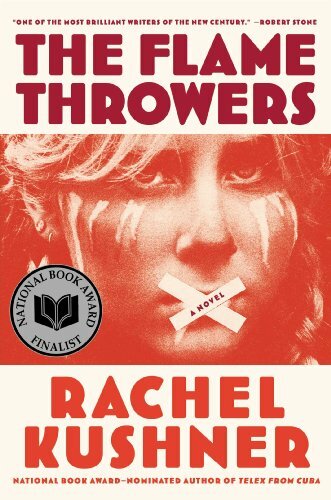 The Flamethrowers US one gives the misleading impression that it’s a serious political novel that may have some relation to the occupy movement. 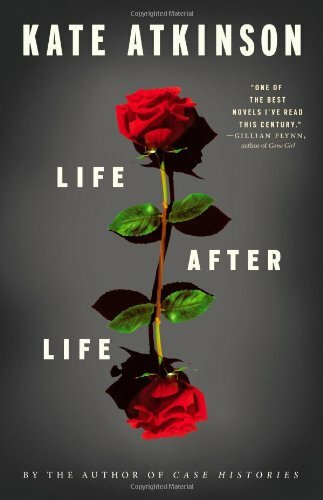 And again the American Life After Life cover makes the book look more serious than the standard of writing inside. Whilst I also prefer The Lowland British cover over that American one with its hint of italic Comic Sans-by hand, it’s an excellent example of the overuse of folk designs and general tweeness that has infected UK book covers in recent years, even certain ranges of classics. 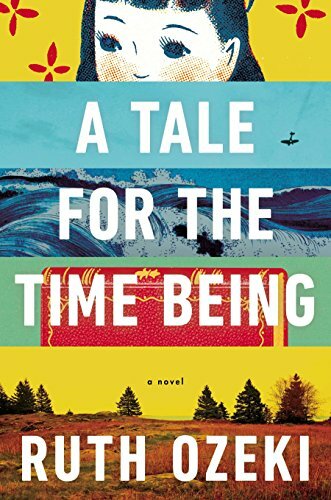 As a former US expat who spent several years in Blighty, the UK covers for “The Son” and “Time After Time” are bullish in their generic Britishness. The serif font, the single graphic image bleeding to the edge – usually a photo or a photorealistic Photoshop manip – yawn. Walk into a Waterstone’s or W.H. Smith and these covers blend into a wall of sameness. 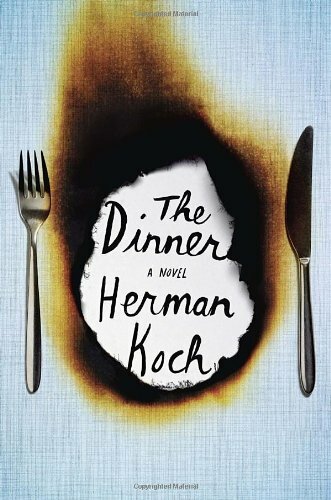 “The Dinner” stands out slightly because the designer had the temerity to use a sans-serif font, but otherwise, more generic yawn. And “Eleanor and Park” is the typical generic cover treatment given to chick lit in Britian: hand lettered/cursive fonts, cartoony figures. (See the UK covers for “If You’re Not the One” by Jemma Forte or “Since You’ve Been Gone” by Anoushka Knight for more of the same). A shame, because Rowell’s novel is not generic chick lit. In other words, the US covers for the win. I never met a Brit who cared that US covers tend to have “a novel” written on them. Or an American, for that matter. It’s a cover style convention, and one that I would bet is invisible to most US book buyers. I certainly never took conscious note of it until now. I work for the New York office of a UK publisher and we’re constantly bumping up against this issue. Thanks so much for compiling this list! For one that I didn’t like the other was on point. I like them both but the UK was a little more dramatic. 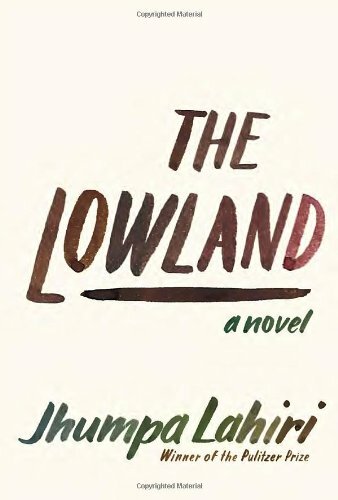 The English have an enduring fondness for India and the Raj (think of the movie, The Best Exotic Marigold Hotel), and I think the UK cover of The Lowland is designed to attract those readers. 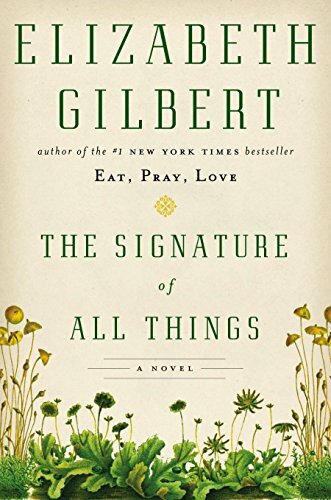 It’s also interesting to note the cover above is only the US hardcover and audio version (despite being very Kindle-friendly). The US Kindle edition has a different cover, perhaps suggesting the US cover above wasn’t doing well enough. Writers, praise the typographers and designers: our words are in their hands. Bookshelves line the walls of my office. The room is small, and with the door closed, it feels comfortably claustrophobic with words. Lately my twin daughters pull books from the bottom shelves. They laugh while forming piles of prose and poetry. Transformations by Anne Sexton is splayed next to The Origin of the Brunists by Robert Coover, which smothers The Comedians by Graham Greene. My girls smile, then run away while I assess the wreckage. While returning the books to the shelves, I found Players by Don DeLillo opened to “A Note on the Type.” A colophon. Colophons are sometimes the last words of books; the Greek origin of the word means “finishing stroke.” They are the end credits of literature. Colophons are the ticket out of the imagined world and back to the world of late trains and heating bills. Although often formal and informative, colophons are also peppered with personality. Handwritten colophons first appeared in 6th century manuscripts. The first printed colophon appeared in the second book printed by movable type, the Mainz Psalter, created by Johann Fust and Peter Schoeffer in 1457. The original colophon appears below, in Latin. Here is the translation by Douglas C. McMurtrie, from his comprehensive history: The Book: the Story of Printing & Bookmaking. The present copy of the Psalms, adorned with beauty of capital letters, and sufficiently marked out with rubrics, has been thus fashioned by an ingenious invention of printing and stamping without any driving of the pen, and to the worship of God has been diligently brought to completion by Johann Fust, a citizen of Mainz, and Peter Schoeffer of Gernsheim, in the year of the Lord 1457, on the vigil of the Feast of the Assumption. Three years later, the colophon for Catholicon, a 13th century Latin dictionary written by Joannes Balbus, asserts it was printed “without help of reed, stylus, or pen, but by the wondrous agreement, proportion, and harmony of punches and types.” Wonder. Harmony. Letters. Through her particular consideration of finer texts, Benton notes that 20th-century colophons served two purposes. The first appealed to the “growing number of bibliophiles who were knowledgeable or at least curious about the particulars of bookmaking.” From a marketing standpoint, colophons “shrewdly enabled publishers to point out the craft-based aspects of production that distinguished fine bookmaking from ordinary:” the eternal tension of the book as art and product. Players begins with an unidentified character’s speech, but quickly fades into the preparation for an in-flight movie. As the plane’s lights dim and the piano bar becomes still, the passengers seem to realize “for the first time how many systems of mechanical and electric components, what exact management of stresses, power units, consolidated thrust and energy it has taken to reduce their sensation of flight to this rudimentary tremble.” How beautiful, really, that only “One second of darkness” is “enough to intensify the implied bond which, more than distance, speed or destination, makes each journey something of a mystery to be worked out by the combined talents of the travelers, all gradually aware of each other’s code of recognition.” An appreciation for type is acknowledgment that good design enables enjoyment. The “one second of darkness” that is the union of reader, writer, and designer creates a form of literary communion. Watching the way in which words match up, keeping the balance in a sentence — these are sensuous pleasures. I might want very and only in the same sentence, spaced a particular way, exactly so far apart. I might want rapture matched with danger — I like to match word endings. I type rather than write longhand because I like the way the words and letters look when they come off the hammers onto the page—finished, printed, beautifully formed. Remember that books are crafted. Remember that books are words, words, words. When writing about books — a world within a world — I always feel as if I am writing to save something. I might attribute this salvific sentiment to the self-importance all writers suffer from, the feeling that we are saying something worth noting. Or the origin might be my Catholic sense, the wish to transform and transfigure. Either way, a comparably venial sin in the service of something greater. 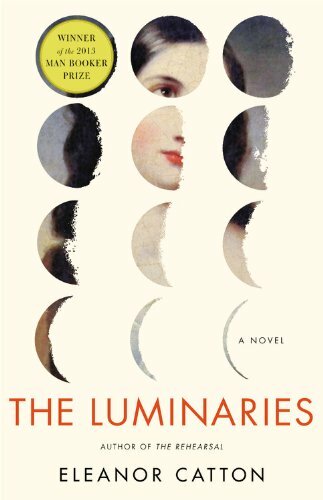 I spoke with Leah Carlson-Stanisic, associate director of design for HarperCollins, who thinks the decision to include a colophon is an important one, “because book publishing isn’t just the making and selling of something for the sake of consumerism.” Colophons — and the spirit behind them — are particularly essential now “during an important transitional period in terms of technology and how it is ever affecting our world and my industry.” In that vein, the colophon is a way to “reference and remember” the typographical tradition. I am less than a novice in terms of design. My experience is confined to one undergraduate course, a few months of introductory work with weeks devoted to typography. I remember zooming in on the contour of letters, and how that closeness felt like looking into someone’s eyes. Afterward, I browsed books in the university library. A bit embarrassed, I found a study room tucked in the upper floor, and nearly put my face in books. I was convinced that I had discovered something new. I love the right-justified colophon of Knopf’s The Stories of John Cheever. It looks like a pared wing. Part of a George Herbert poem. Carlson-Stanisic explained her method in selecting a typeface. Historical Fell or Tribute might be appropriate for a manuscript dated by time period: both “are heavy and ornamental.” If a manuscript “is dense with elements [such as] lists, dialogues, e-mails,” she selects a “clean font with very crisp, readable serifs, that has a variety of weights so that I can distinguish all of the elements.” And “I always want a font that has a beautiful italic. I am a snob that way.” Beyond content translated to form, Carlson-Stanisic stresses the need for clarity: “If you set the leading too tight, and the lines are too close together, the page will overwhelm you. I want to select a typeface that is proportional, isn’t too fine but certainly not bulky, and that doesn’t have anything too stylistically unique about it that certain characters stand out too much and distract.” Her ideal is “a beautiful workhorse with an elegant italic.” Her favorites: Fournier, Filosofia, Perrywood, Garamond. William Addison Dwiggins, for all of his aforementioned reservations about reader interest in colophons, is noted in many. My copy of Circling the Drain, the only book by Amanda Davis, ends with a terse colophon. Dwiggins returns in my copy of Thomas Mann’s The Black Swan, a discard from the VA Hospital in Lebanon, Penn. His own trademark at the end is a nice touch. This colophon appears at the end of Crossing the Threshold of Hope. In 1993, Pope John Paul II had to cancel a planned live interview on Italian radio and television, but surprised the reporter by developing his responses into a full manuscript. Not every typeface earns the name of Dante. I call for the return of colophons. The battle of the book is not to be won or lost in preferences of print or digital. The page will always remain. Letters will always remain. Colophons can send us back into books for another level of reading. If we love books, that second reading might be ecstatic in the same way good writing can lift us. Colophons are reminders that books are bigger than their writers alone. They are the measured exhale at the end of a satisfying experience. The sentence has end punctuation; the book has a colophon. Form and function is so important to us on every level — and people say that it is best when you don’t notice it — but I think design-oriented people will always stop to observe and appreciate it. There is something so sensual and so similar to the way we appreciate the curve of an arm on a well-designed chair, the elongated neck of a dancer, or the graceful curvature of a lower cased f set in Fournier italic. How could we survive without any of that beauty? When I worked at the bookstore in Los Angeles,we would occasionally get customers who would by books based not on their subject matter or on who wrote them, but by the color of their spines. Somebody would come in looking for light covered spines. Another would peak behind dusk jackets looking for books that conveyed a “vintage look.” More often than not these shoppers were Hollywood set designers, trying to fill the bookshelves that would provide the backdrop for the action in a movie or television show. Ever wonder why movies cost tens of millions of dollars to make? It’s because these guys were paying full price for these books and not picking them up cheap at a Goodwill store. But other people shopped like this to fill their homes because full bookcases look nicer than wallpaper. One celebrity would routinely buy multiple copies of dozens of books, so that his bookshelves would be equally full in each of his multiple homes.According to a Knight-Ridder article, this book decor trend is filtering down to the masses:Perhaps the ultimate signal that books are decor came when a recent Pottery Barn catalog showed an entire bookcase with the books turned backward, annoying mismatched spines facing inward, all in an attempt to achieve a neutral, uniform look.Luckily the article is mostly skeptical of this trend, but it goes on to mention Book Decor, “a California company that sells foreign books by the foot for the express purpose of looking at them rather than reading them. Danish books cost $100 a foot, German are $150 a foot and French are $200.”In a way they’re right. Books look great on the walls, elegant and inviting. A well-stocked library makes an impressive statement about one’s taste, but of course, lest we forget, each of the books is filled with stories. Walking into such a room, one can almost see all the words and characters peaking out from behind the book covers and floating through the ether. It strikes me as insane that anyone would fill shelves with books that they would never be able to read. After all, books are multitaskers of home decor. They look great, but you can read them and share them with friends, too. Try to do that with wallpaper.